Jason Taumalolo and Valentine Holmes will trial in front of a number of NFL clubs this weekend. Both are currently flying to the USA after clashing in the Four Nations final on Monday morning. The NFL Management Council issued a release to clubs and scouts that Taumalolo and Holmes would be showing their wares at a to-be-determined location in Los Angeles on 26th November. “Jason Taumalolo and Valentine Holmes, two of the best players in Australia’s National Rugby League, have scheduled a work out for NFL clubs this Saturday. According to the release this is a work out for demonstrative purposes, with both players currently locked in for one more year on their NRL deals. A source from one NFL club confirmed to The Roar today that the two players are among a list of potential candidates considered for trials after the current NFL season is completed. The source told The Roar that Taumalolo, in particular, is being looked at in a running back or tight end role. Holmes is also being looked at as a running back. At this stage it is unclear how many clubs will send scouts to the work out, but the source said that their East coast-based club is seriously considering sending scouts to the trial. It has also been confirmed to us that there are scouting reports available to NFL clubs on both players. In September it was reported that Taumalolo was considering a Jarryd Hayne-esque switch to the NFL. Taumalolo indicated in January in an interview with Fox Sports that he would be interested in having a trial with the NFL. “A few boys last off-season went and had trials so it will be interesting to see what happens next off-season,” he said. “It proves anything is possible if you dream big. Jarryd wanted to play NFL and he went over and did it. The big lock was non-committal earlier this year when asked where his future la. “It’s something I haven’t thought about too much but the question will come up sooner rather than later,” he said. 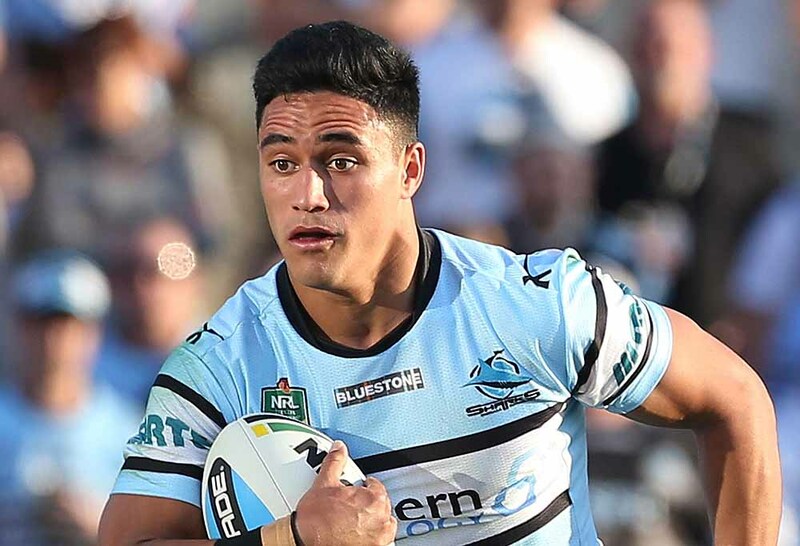 With Taumalolo having won a premiership in 2015 with the Cowboys, and Holmes winning with the Sharks in 2016, it would appear to be perfect timing for both players. Taumalolo is also the joint holder of the Dally M Medal. 2017 could be the year for the two stars, but it would be a body blow to the NRL if they decided to leave. The League has already gone without one of their brightest talents for nearly two full seasons. Jarryd Hayne showed that a swift transition could be achieved, and with Taumalolo, 23, and Holmes, 21, at the perfect age to trial, the timing could be perfect. UPDATE: The North Queensland Cowboys have confirmed Taumalolo is travelling to the US with the full knowledge of the club. 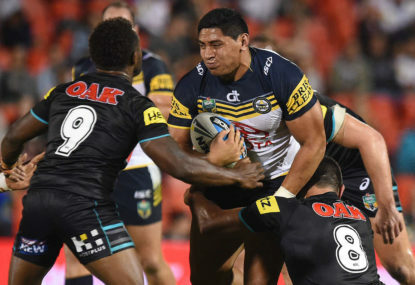 The North Queensland Toyota Cowboys are aware that player Jason Taumalolo is returning from the Four Nations tournament via the USA where he will undergo testing in front of NFL scouts. Jason has done this with the full backing of the club, and in consultation with the player’s management.